and values you can trust. From modest beginnings that began in 1972, the Van Maren brothers have an impressive portfolio of projects. They have designed and developed many types of buildings throughout Canada and the US, which include everything from town homes, single family homes and midrise developments to upscale apartment buildings, luxury hotels and high-rise condominiums. In recent years, VanMar Developments and VanMar Constructors have built numerous upscale condominiums in prestigious locations throughout British Columbia and Southern Ontario. They have also assisted in the design and construction of various projects for several well-respected builders, including Branthaven, Fusion Homes, HOA and UBC Properties. Today, VanMar has a first-class reputation as a trusted developer and is highly regarded by homeowners, lenders, investors and designers. Their extensive experience in the design and development of all forms of housing has given them a wealth of knowledge and the capability to ensure the highest quality workmanship and value. 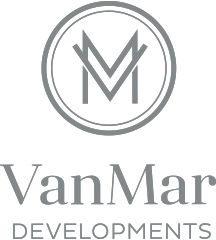 Looking for a career opportunity with VanMar Developments? Since 1973, VanMar has been building quality and luxurious homes for Canadians. In 1973, the Van Maren brothers launched their construction firm, ‘Van Maren Construction’. From modest beginnings in framing and concrete construction, they quickly built a reputation for delivering high quality, on time and on budget – which helped develop loyal, repeat clients. In 2002, two of the brothers decided to concentrate on their financing and development businesses. Art Van Maren continued to pursue his passion for construction and re-launched the company as VanMar Constructors Inc. In 2004, Jeff Marin, Vice President, became a partner. Mike Van Hemert, Development and Pre-Construction Manager, also became a partner in the first in 2011. VanMar has continued to operate like a family business with clear social values and strong ties to the communities we do business in. In 2008, we opened our branch office in Cambridge, Ontario. Since 2002, VanMar has completed more than 60 projects and over 6,000 units in B.C. and Ontario. This includes nearly 2000 healthcare beds and extensive experience in social housing and seniors residences projects.